Stainless Steel Shower Caddy Just $11.99! Down From $100! You are here: Home / Great Deals / Amazon Deals / Stainless Steel Shower Caddy Just $11.99! Down From $100! Don’t miss this deal from Amazon! Get this Stainless Steel Shower Caddy for just $11.99, down from $99.99, PLUS FREE shipping with Amazon Prime for orders $25 or more! Keep your toiletries and shower essentials in place with this Stainless Steel Shower Caddy. This shower caddy provides a convenient place for your shampoo, bath brushes, and sponges. It keeps everything stay put yet it is easy to remove if you want to rearrange your bathroom. 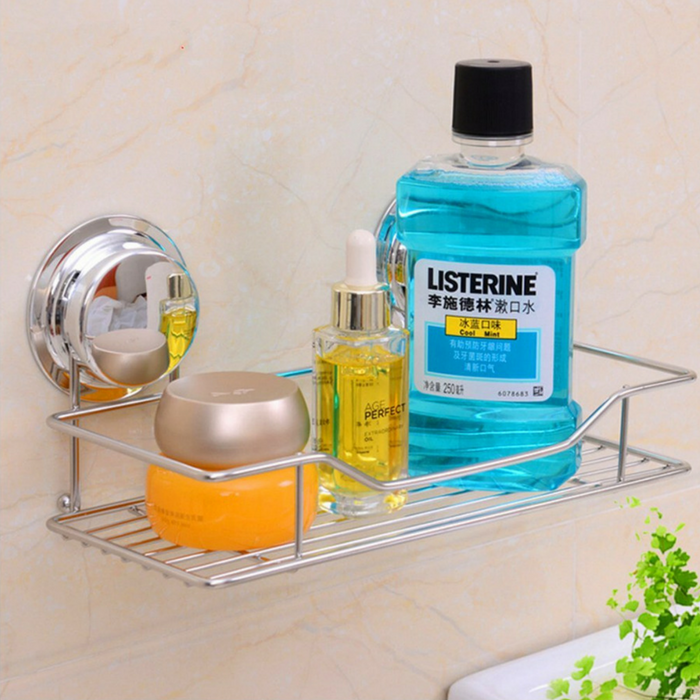 Featuring long-lasting suction, this washroom shelf adheres securely to any smooth surface. Yet it’s easy to remove and place in a new spot anytime you want. You don’t need to install it too! Simply place this caddy with suction cups on your shower wall, push, and twist! No drilling needed! Stays Put Yet Easy to Move: Featuring long-lasting suction, this washroom shelf adheres securely to any smooth surface. Yet it’s easy to remove and place in a new spot anytime you want. No-Fuss Installation: Simply place this caddy with suction cups on your shower wall, push, and twist! No drilling needed. Provides a convenient place to store your shampoo, bath brushes, sponges, and more.